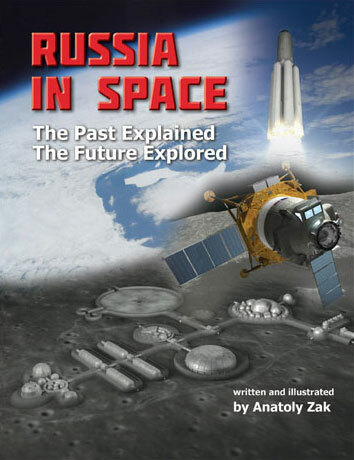 From 2013 to 2015, Russian industry worked on the prototype of an inflatable space module scaled down three times from the planned flight-worthy vehicle. 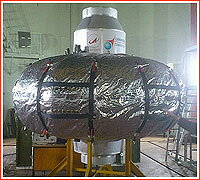 With a total volume of 16 cubic meters, the model was used for various tests before the full-scale inflatable module could be built. 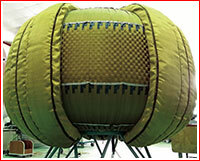 RKK Energia's annual report for 2013 confirmed that the work on the module had continued, in particular, the company had developed a manufacturing process, which would allow to produce inflatable space structures of different sizes. The work on scale models gave engineers first-hand experience in the construction of expandable structures, in testing repairs of a damaged flexible structure and in trying various methods of folding, packing and deployment of expandable structures. In June 2016, Deputy Prime Minister Dmitry Rogozin visited RKK Energia's main campus in Podlipki and inspected the expandable prototype among other hardware. The visit came on the heels of the successful deployment of the Bigelow Expandable Activity Module, BEAM, on the US segment of the International Space Station, ISS. 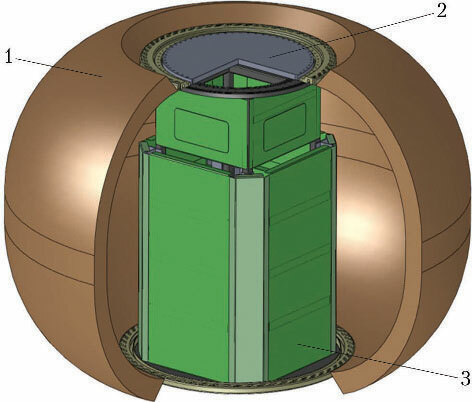 Peculiarly, while RKK Energia was looking for money for its expandable module during 2014, Roskosmos awarded a contract to its main research and certification center TsNIIMash to develop a technical proposal for the experimental transformable module, ETOM, as well as a one-to-three scaled prototype of the vehicle. It is unclear, whether the project was competing or complementing the work at RKK Energia. On October 15, 2015, the Scientific and Technical Council at the TsNIIMash research institute reviewed the technical proposal for the ETOM, along with two other work milestones conducted within the advanced projects package known as Perspektiva ("prospect").